Hello !! I'm new here !! So, Have a Nice Day to each of you, i'm happy to join the scrapbook ! I like the questions of keepthefaith999.... 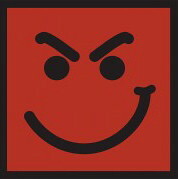 I have a new question for you : Which Bon Jovi album do you prefer ?? For me, even I love all of them, I think my favourite album it's New Jersey : Bad medecine, Born to be my baby, I'll be there for you... ahhhhh I just too like these songs !! For your question... hum it's really hard to say ! ! I'll go for Keep The faith ! But I love all the others too ! Do you think my english is better I'm french!!! !Welcome...New Jersey how good album...and Jon a bomb!!!! yeah ! that's the best word for Jon !! A bomb !